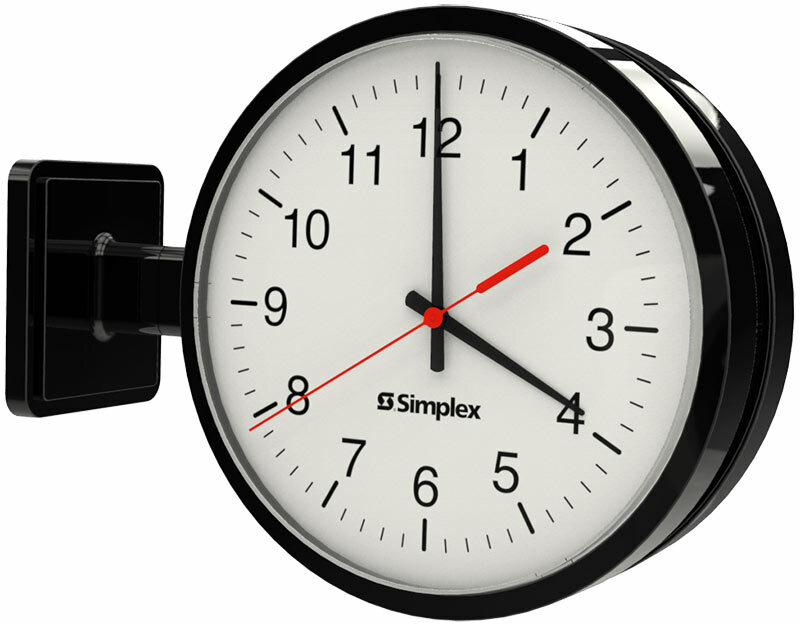 Simplex’s new IP analog clocks are one of the most technologically advanced clocks in the industry. The clock runs on the Power Over Ethernet (802.3af) protocol. The PoE clock receives its power and data from a standard CAT5 patch cable via a PoE injector or switch. The SBL 3000 series also allows you to choose specific features in order to meet your facility’s needs. Broken up into three separate series (3100, 3200 and 3300), the SBL 3000 can accomplish more than simply displaying the time. Some additional features include Elapsed Timer capabilities, programming the clocks through Simplex software program and the ability to interface with other systems.